No, not your Grannie’s village: the photo was taken in the Midlands only a matter of yards from the Greenway, which I’ve written about before:en route. 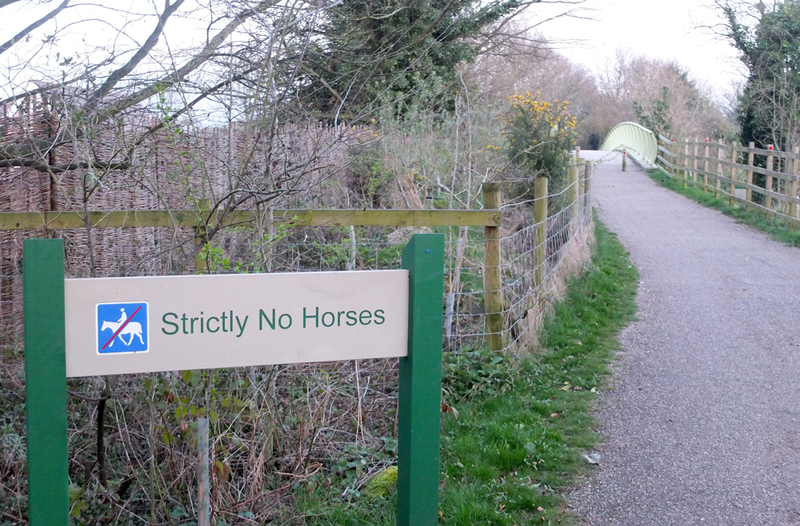 The Greenway is a “permissive bridleway” where most forms of non-motorised traffic are welcome, but I think the horses have to go round this section by way of the road not the bridge. Thanks for dropping by and staying long enough to wonder!